In September 1998, J. David Standeffer became a Board Certified Civil Trial Advocate by the National Board of Trial Advocacy (1998 – 2023) (http://www.nbtalawyers.org/), as a result of meeting the rigorous qualification requirements and passing the written national examination. He is one of the twenty-one attorneys so certified and recognized by the South Carolina Supreme Court in the state of South Carolina. In 2005, he met the requirements and became a Certified Civil Mediator by the South Carolina Board of Arbitrator and Mediator Certification. Mr. Standeffer has continually maintained the highest possible Peer Review Rating for ethical and legal ability of “AV” by the Martindale Hubbell Law Directory. He has been continually listed in the areas of Civil Trial Practice, Personal Injury and Product Liability in Martindale-Hubbell Bar Register of Preeminent Lawyers, reflecting confidential opinions of members of the Bar and the Judiciary about his abilities and achievements. He also achieved The Board Certification for Civil Pretrial Practice Law in 2012. Mr. Standeffer graduated, with Honor, from Clemson University in 1972, after attending grades 1-12 in Anderson public schools, and received his Juris Doctor Degree from the University of South Carolina School of Law in 1975. He was admitted to the South Carolina Bar in 1975. He served as a Captain in the U.S. Army J.A.G. Corps for three years (1976-1979) in Germany. He practiced with a law firm in Europe for one year and for the Anderson and Epps Law Firm for one year in Anderson. He joined the Tenth Judicial Circuit Solicitor’s Office as a prosecutor for Anderson and Oconee Counties for over seven years. He served as Anderson County Attorney for two years. 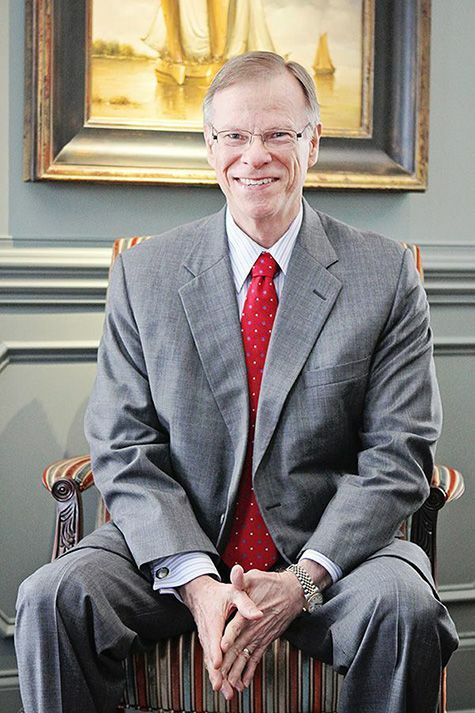 He opened his private practice of law in 1988, in Anderson. He is a member of the South Carolina Bar; Anderson County Bar Association; The American Association for Justice; The American Trial Lawyers Association; The South Carolina Association for Justice; and The Southern Trial Lawyers Association (Board of Directors 2011-present). In addition to over 500 jury trials to verdict, he has tried hundreds of non-jury cases to verdict. He has a wife of over 45 years and one child.